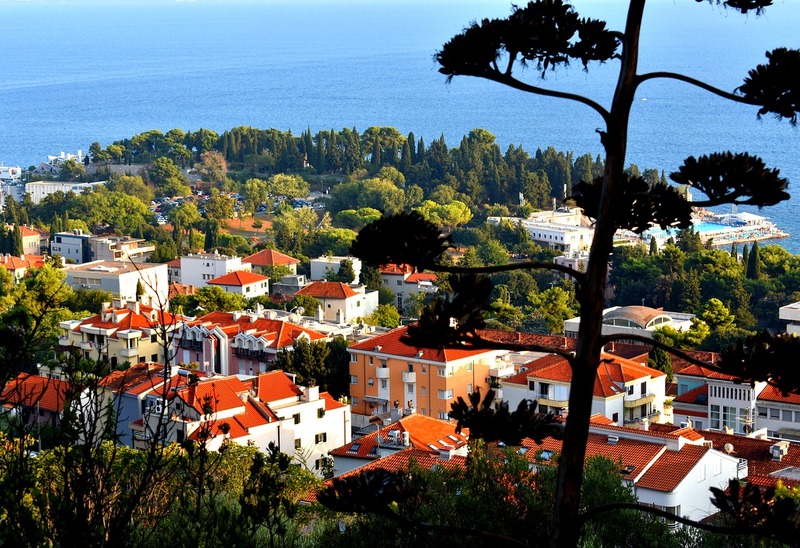 Croatia might have come out second best in the just concluded World Cup but when it comes to gorgeous islands of enthralling beauty, none boasts the kind of treasures that this winsome country harbors. With more than a century of islands within its borders, you are sure to have your fill of impressive ruins, historic villages, intriguing inlets and coves and endearing sunshine. Today we’ve narrowed down the over 1000 landmasses, to bring you this list of the top 3 islands in Croatia that you should visit first. Hvar has become a synonymous destination for well-heeled travels with its blend of vibrant nightlife, historic charm and sun-soaked beaches and coves proving alluring attractions. 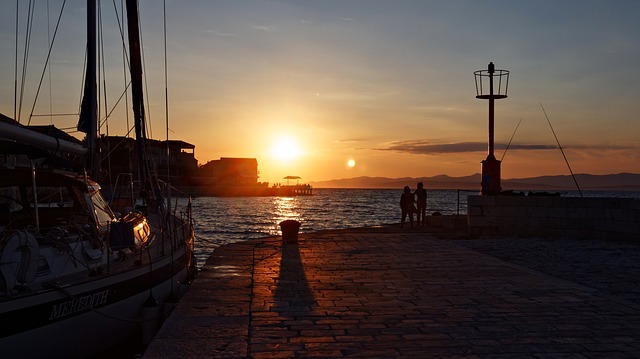 Situated off the Dalmatian coast and centrally amidst a trio of villages namely Jesla, Hvar Town and Stari Grad, Hvar has numerous gems to offer. The first of which is the medieval Fortica castle that provides a great vantage point with divine views of the stunning nearby Pakleni islands and the surrounding harbor. An array of delightful open-air cafes lines the harbor while further inland, the 13-century central town square is an architectural masterpiece that is home to the ornately imbued St. Stephen’s Cathedral. Other significant attractions include the UNESCO recognized agricultural wonder that is the Stari Grad Plain and the hidden coves, vineyards and villages located along the 158-mile stretch of coastline. At the end of the day, you can also get your groove on at the famous 24-hour Carpe Diem nightclub. Coming in a close second is an island to Hvar’s south called Korcula. This island is an intriguing destination that features historical delights the most notable of which is Marco Polo’s house, although evidence suggests the structure was built way after his death. 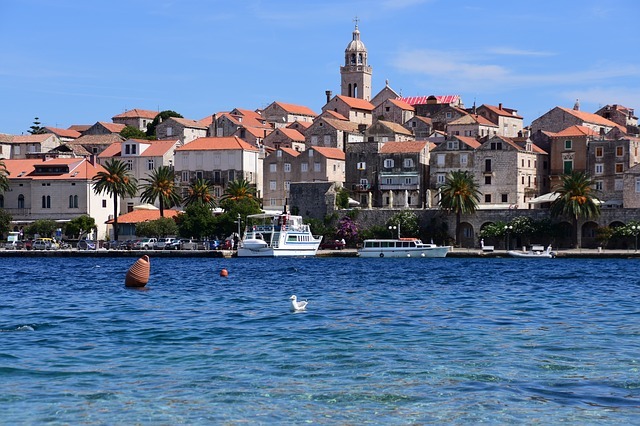 More delicious historical serving is also available at the renowned Korcula history museum and scenic treats come in the way of beguiling vineyards, beaches and the esteemed St. Mark Cathedral whose steps provide a breathtaking view of the harbor, red-tiled roofs and outer islets. Wine is also a major selling point of Korcula as it has numerous world-class wine varieties courtesy of the countless hyper-local wineries that have honed their trade for hundreds of years. Vinum Bonum in the Korcula Old Town is a great wine bar where you can indulge in some of the local vintages. 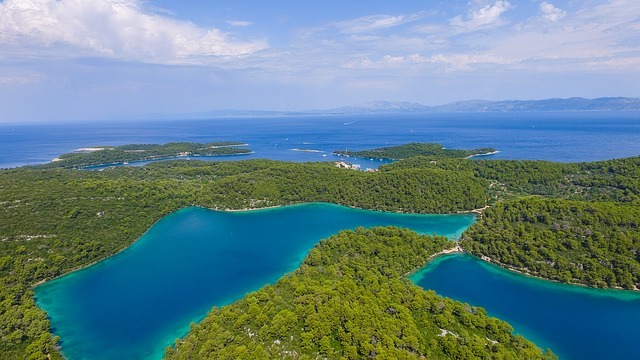 This southern Dalmatian island is the perfect gate away for nature enthusiasts and some of its attractions include the Mljet National Park and a pair of saltwater lakes that provide a great swimming haven with Veliko Jezero- one of the two lakes- also harboring a restaurant and a monastery. Another treasure to look forward to in Mljet is a 100-foot-long tunnel called Odysseus cave that is not only beautiful but also holds an enthralling story about Odysseus and his encounter with the island’s ruling nymph, Calypso. All in all, Mljet is an extremely charming land mass that is littered with multiple gorgeous harbor-front restaurants and many ravishing towns that give it that first-rate reputation echoed by the majority of people that have graced its shore. The best way to truly explore Hvar, Korcula, Mljet and the many other graceful islands of Croatia is to rent a yacht and sail across the Adriatic unencumbered. With the freedom of your own vessel and an unrestricted timeline, you are bound to experience all the historical and scenic pleasures these landmasses have to offer to the fullest.